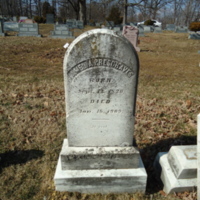 Chestnut Grove Cemetery is located on Dranesville Road in Herndon, Virginia. The cemetery occupies over 20 acres of land and contains both old and recent burials. The distinguishing feature of Chestnut Grove is that a sizable amount of the burials were reinterred. 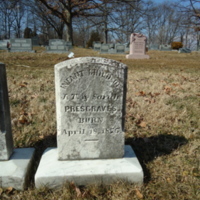 When Washington Dulles International Airport was built, the local cemeteries that were within the area meant for the airport were moved, many to Chestnut Grove. 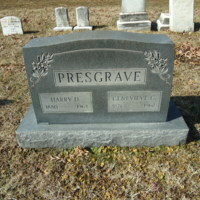 One of these families that was moved were the Presgraves, which is the family focused on in this collection. 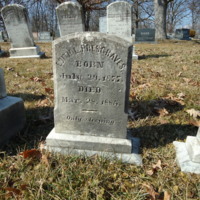 They were a family of farmers that lived in the Broad Run District of Loudoun County. 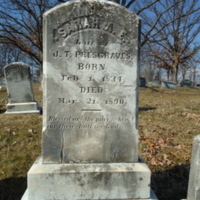 This is the headstone for James Thomas Presgraves, the son of John Thomas and Sarah A. E. Presgraves. 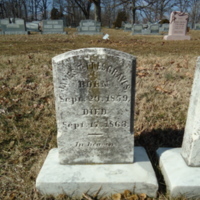 He was born on September 29, 1859 and died on September 17, 1863. Included on the headstone is the inscription “In heaven”. 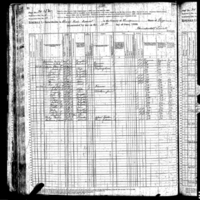 James died at age 3. 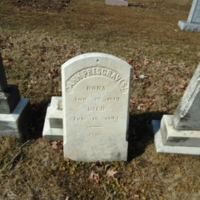 This is the headstone for Amelia Presgraves. 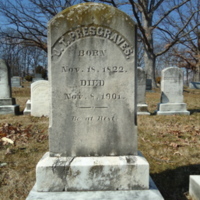 She was the daughter of Richard H. and Nancy Presgraves. 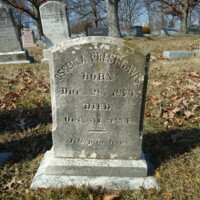 She was born on September 12, 1820 and died on January 16, 1909. The inscription on the stone reads, “At rest”.